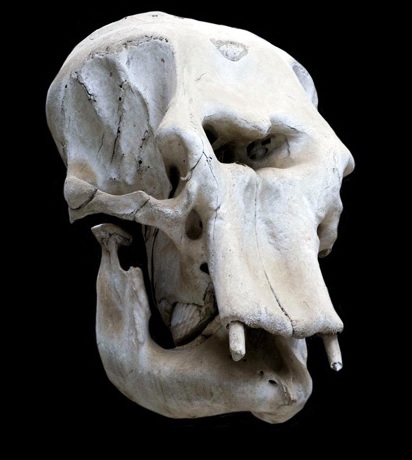 A possible origin for the greek myth of the Cyclops is dwarf elephant skulls. It is possible that the ancient Greeks found dwarf elephant skulls, twice as large as human skulls, and explained them as monsters, having never seen an elephant before. This becomes more plausible once you see an elephant skull. The large hole in the center is actually the nasal cavity for the trunk, but it also resembles a single eye socket.